The Great Yukon ShakeOut - Who is Participating? 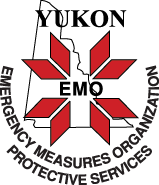 Who is Participating in the Yukon ShakeOut? Everyone in the Yukon can participate in the ShakeOut. Use these links and menus to see how many people are registered to participate throughout the territory, and lists of who is participating.